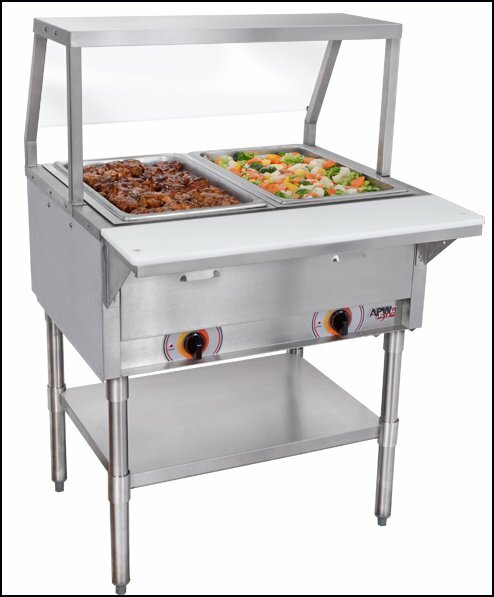 Standard Unit body constructed of heavy duty stainless steel with die stamped top. Each compartment insulated with 1” thick fiberglass. Unit standard with stainless steel liner. constructed of heavy duty stainless steel with deep drawn wells of type 304 stainless steel. Fully welded drains in wells. Individual infinite switch heat controls with 750 watt element as standard. 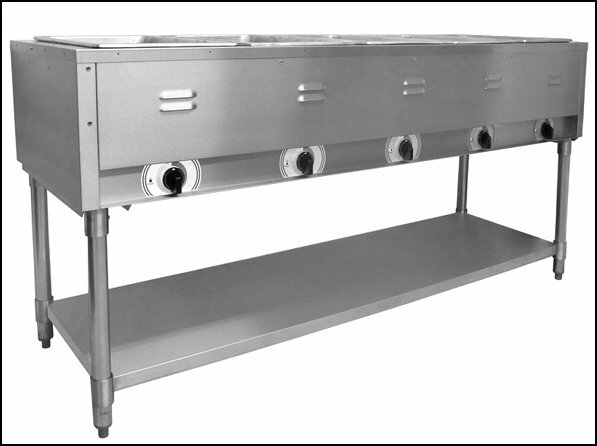 Unit equipped with ½” poly cutting board mounted on stainless steel shelf supported by stainless steel brackets.